Las Vegas is one of the most famous and amazing travel destinations in the world. That’s why more than 42 million people visit the neon light-filled city every year. 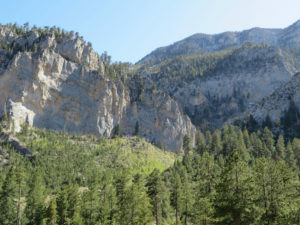 Even better, its surrounded by fantastic side trip opportunities perfect for travelers visiting in RVs or who rent cars. Let’s take a look at the road map for 10 of the best travel spots outside of Las Vegas. Death Valley National Park is one of America’s grandest treasures. It’s truly immense, and the stunning desert landscape is like nowhere else on Earth. 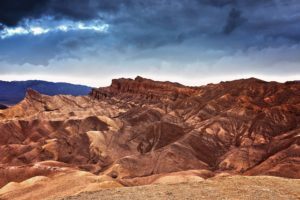 Highlights include sand dunes at Stovepipe Wells, picturesque lodgings at Furnace Creek, and famous Badwater Basin – the lowest elevation on the continent. Definitely take photos. Tonopah is an old mining town located four hours northwest of Las Vegas along Highway 95. Along the way, the highway passes by the popular ghost town of Rhyolite and historic Goldfield. 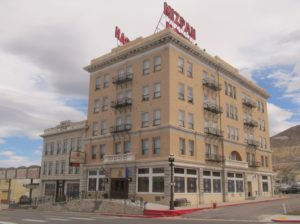 In Tonopah, the newly restored 111-year-old Mizpah Hotel looks out magnificently over a colorful scene filled with evocative ruins. Valley of Fire State Park is Nevada’s oldest protected natural and recreation area, and it’s no wonder why. The park’s huge landscape of colorful sandstone has been eroded by the elements over millions of years. Roads and hiking trails lead to sandstone arches, hoodoos, canyons, picnic areas, campgrounds and grand viewpoints. Explore away. 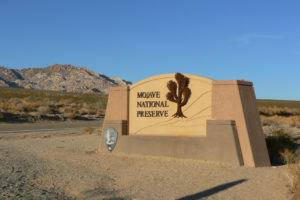 Mojave National Preserve isn’t as well-known as its nearby cousin, Death Valley National Park. But it’s nearly as large, and it contains lofty mountain ranges, broad valleys, and gorgeous sand dunes. Its northern border is about an hour south of Las Vegas off of Interstate 15 in California. Be sure to stop by the gorgeous ranger station at Kelso, a converted old railroad station. 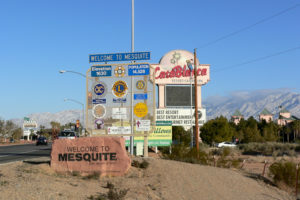 Mesquite is located a mere 75 miles north of Las Vegas on Interstate 15 on the way to Utah and vacation lands like Zion National Park and Bryce Canyon National Park. The bustling small city is a golf mecca, too, with numerous beautifully green courses for players to swing clubs. It’s also home to resort-style hotels and casinos. Primm is a shopping and entertainment oasis just 45 minutes south of Las Vegas along the California state line. It offers casino-hotels, amusement rides including a famous roller coaster, shopping outlets, and plenty of restaurants. There’s even a golf course located right beneath the glowingly impressive towers of a solar power station. Spring Mountains National Recreation Area features the forested slopes of Las Vegas’ crowning natural jewel: Mt. Charleston. Just an hour’s drive from the Strip, the mountainous area makes for a cool break in hot Mojave Desert summers, and in winter, there’s even snow skiing. Hiking and walking trails of all ability levels await. Boulder City is one of the most interesting and historic destinations near Las Vegas. Located above immense Lake Mead, it’s a lovely small town that was founded when nearby Hoover Dam was being constructed in the 1930s. It’s now home to many restaurants and fun boutiques to peruse year-round. Red Rock Canyon National Conservation Area is one of the most amazingly colorful and awe-inspiring outdoor spots in Nevada. 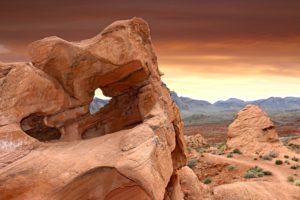 Located just beyond Las Vegas’ western city limits, it features multi-colored sandstone cliffs that soar thousands of feet into the Mojave Desert skies. A drive through the 13-mile-long Scenic Loop is a must-do. Pahrump is a gem of Nevada. 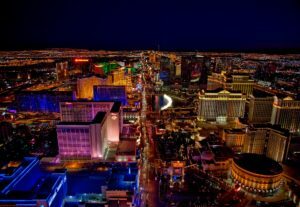 The friendly and comfortable small city is located just an hour west of Las Vegas. Filled with amenities like jetpacking or performance car driving classes at Spring Mountain Motor Resort, lovely wineries, and deluxe RV resorts. 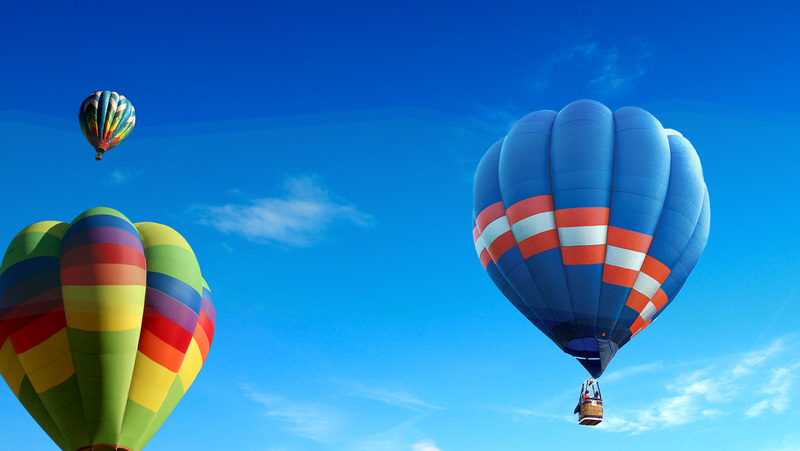 Pahrump is also home to year-round unique annual festivals celebrating hot air balloons and the local grape harvest. Breathtaking views are all about. 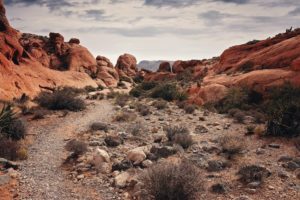 Of course, there are many more Mojave Desert vistas to explore around Las Vegas, but this is the perfect check-off list to get started on unforgettable travels.